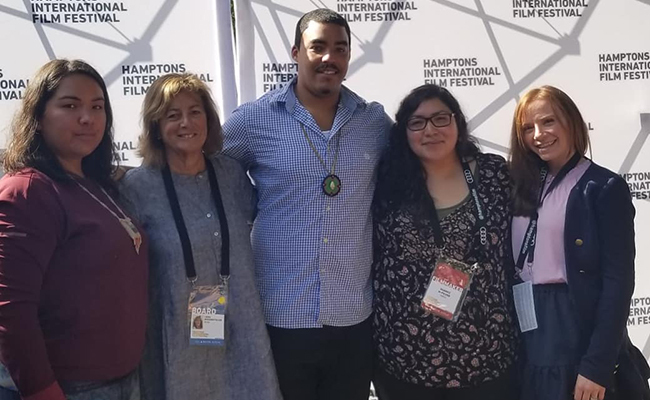 Guest Blog by Linda Biscardi Fuller, HIFF Board member who oversees our HIFF Jr. Education Programs alongside Marissa Friedes Cangiolosi, Manager of Education. Our annual partnership with the United Nations Plural + program encourages empathy, compassion, and respect for all by screening films about diversity, migration and social inclusion. 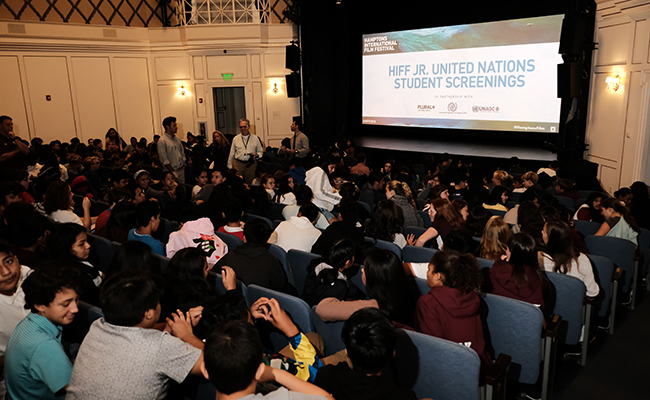 During HIFF 2018, the festival hosted over 700 students aged 11-18 from East End schools on Thursday and Friday at Guild Hall, where students and faculty were treated to films created by youth from around the world. One documentary, entitled SHIPU, highlighted the importance of protecting natural resources of the rivers and lands of the First Nations’ Peoples of Canada. The filmmakers—young activists of the Innu Tribe, Shanice M. Picard and Uapukun Mestokosho—traveled from Quebec to speak with the students. Shane Weeks, a member of the Shinnecock Nation, joined the panel discussions after the screenings, which I was honored to moderate. Immigration and environmentalism were at the forefront of the questions posed by the audience. We emphasized that, except for our panel guests, we are all immigrants to the Americas. Afterwards, Shanice and Uapukun, whose tribe has been active in protecting their ancestral lands and rivers against industrialization, visited the ocean in East Hampton and blessed the waters and the festival in what was a moving moment. After the screening and panel, Shane cordially invited Shanice and Uapunkun to tour the Shinnecock Reservation in Southampton. There, our film festival guests spent the day meeting the members of the Shinnecock Nation. 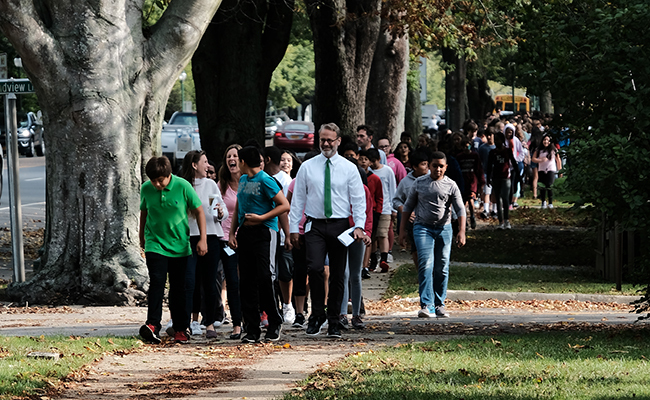 Thank you to all of the students and teachers who joined us this year, and a BIG thank you to HIFF’s Manager of Education, Marissa Friedes Cangiolosi, for helping to organize this incredibly special program. Learn more about our year-round HIFF Jr. Educational Initiatives.